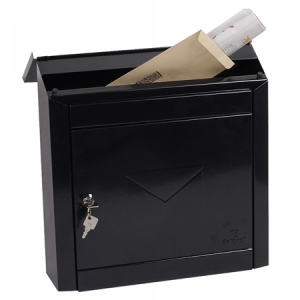 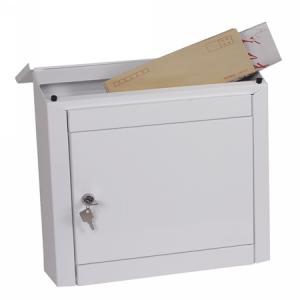 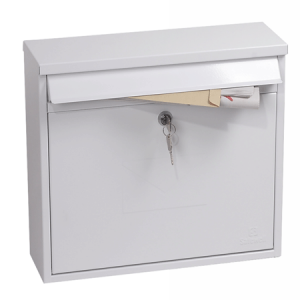 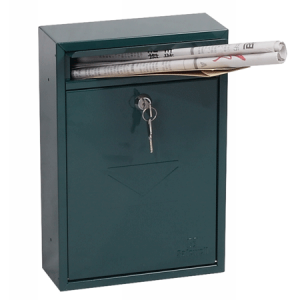 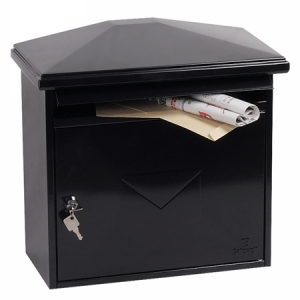 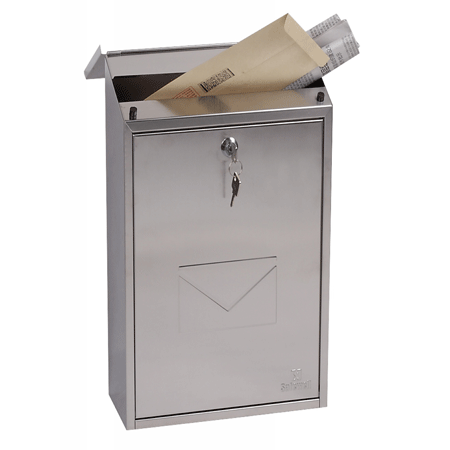 Full height drop-down door (with envelope motif) for easy removal of contents. 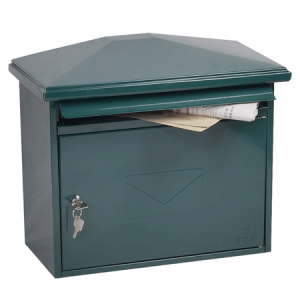 Weather-proof and rust-proof. 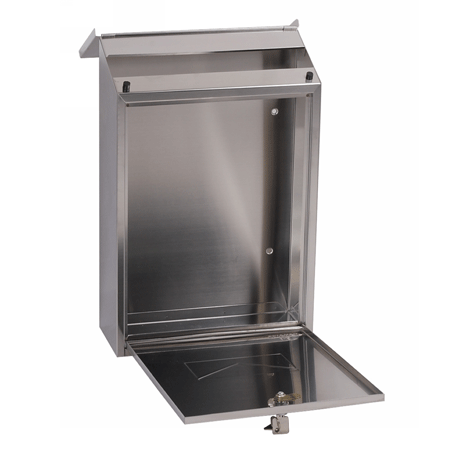 SPECIAL FEATURES: The MB5007S has a top-loading slot beneath the roof flap. 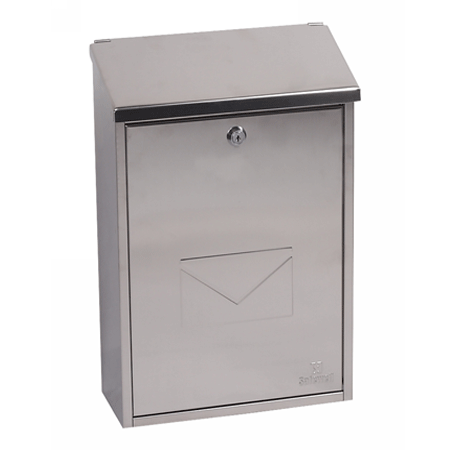 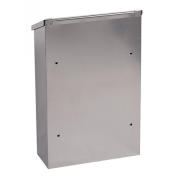 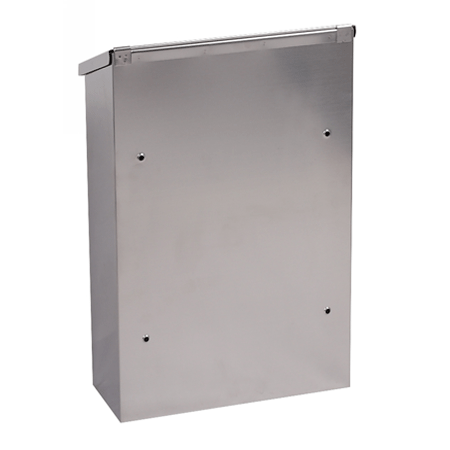 CONSTRUCTION: From high grade stainless steel giving the mail box a quality heavy duty appearance.